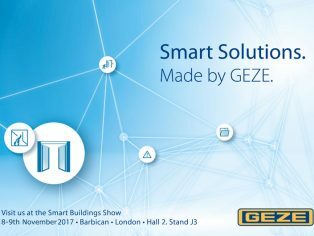 GEZE UK’s smart-thinking, innovation and latest system solutions will be showcased at the Smart Buildings Show (8 -9 November 2017), at the Barbican, London. 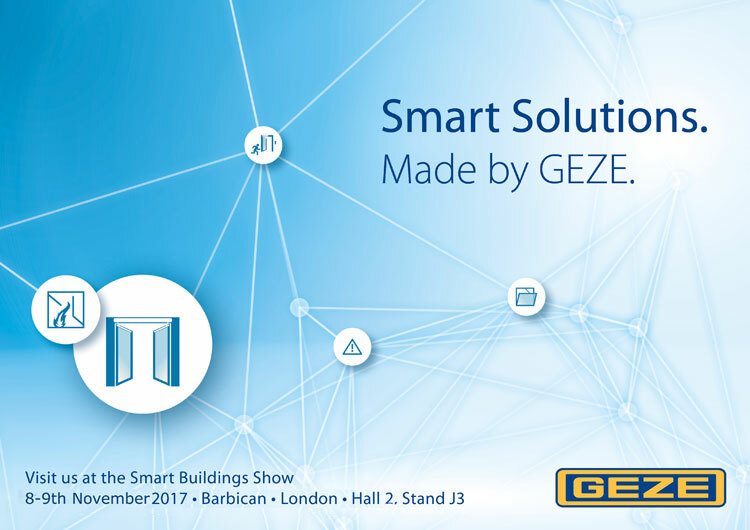 The only company to offer both door and window automation, GEZE UK will demonstrate how its products can transform buildings into ‘Smart Buildings’, more economical for owners and more functional for occupiers over the building lifecycle. 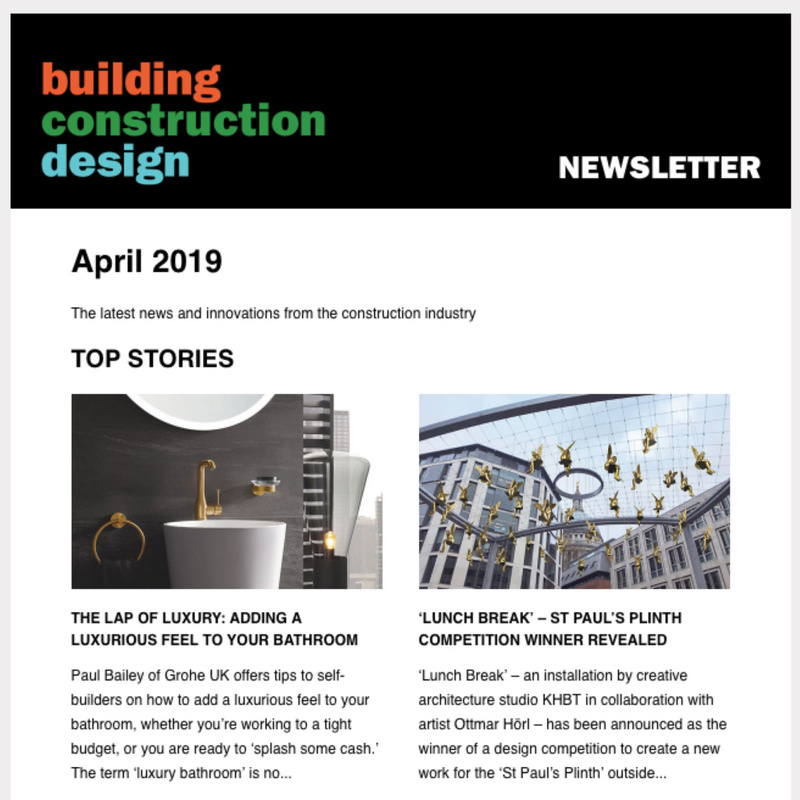 Products on display will include the Powerturn swing door drive for opening large, heavy doors and Slimchain and Powerchain electrically operated chain drives for vertically installed window ventilation. The new interface module IO 420 allows automatic door systems, window technology and smoke and heat extraction systems as well as safety technology to be integrated into buildings via the BACnet communication standard. Clever technology, such as the IQ box KNX interface – which uses the KNX operating standard – will also be showcased. 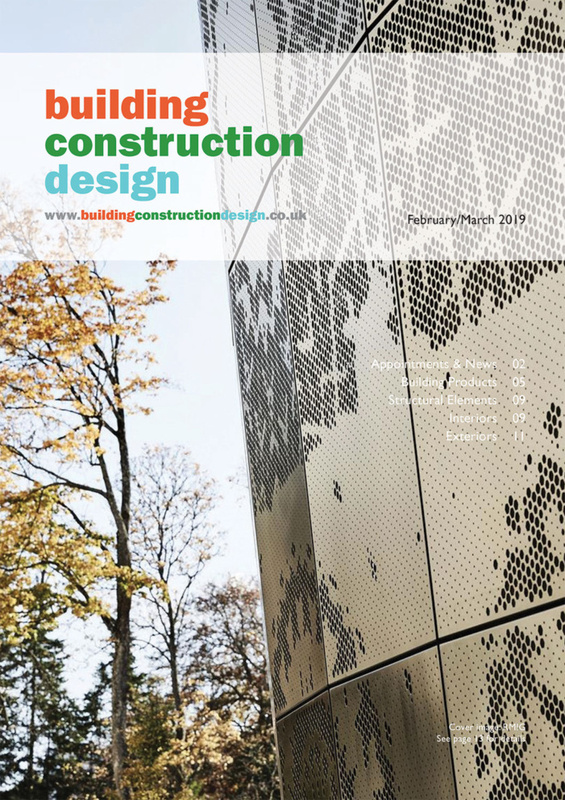 This ‘intelligent thinker’ can talk to technology solutions around a building – enabling functionality and security at the touch of a button. It interfaces with GEZE’s IQ window drives and enables windows to be opened to desired positions, facilitating timed ventilation, automatic opening and closing and more, controlled internally or from a mobile end device.